Skybridge cellular services to be available on board Chevron Vessel. 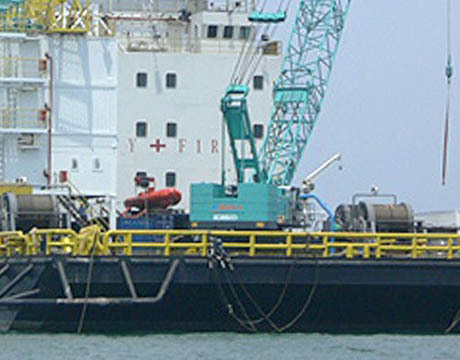 Accommodation barge operated by Chevron will enable Skybridge’s maritime GSM service. The name of the vessel has not been disclosed however operations will take place off-Angolan coasts. Engineers, customers and crew members will be now able to use their own mobile devices to make and receive calls, short messages and Data through usage of any smartphone.« This agreement demonstrates that high quality and reliability in personal communications are key elements. People living and working at high seas have the same service level expectations, like on land and this is precisely what we are committed to deliver », said Constantin Simeonidis, Skybridge’s President and CEO.